Vessel No. 88 in China, based in Beijing and sponsored by the company Tiandi Rongtong. Have a look at images from the journey of the vessel on their homepage link 100 MIGRATORY in China. In January 2013 the vessel No.88 travelled by train from Beijing to Harbin to take part of the opening of 25th Snow and Ice festival as well as Cold Zone Expo 2013. Most photos by Johanna Almström – thank you! Vessel no. 88 has arrived to Beijing China, freight sponsored by the company Tian Di Rong Tong. 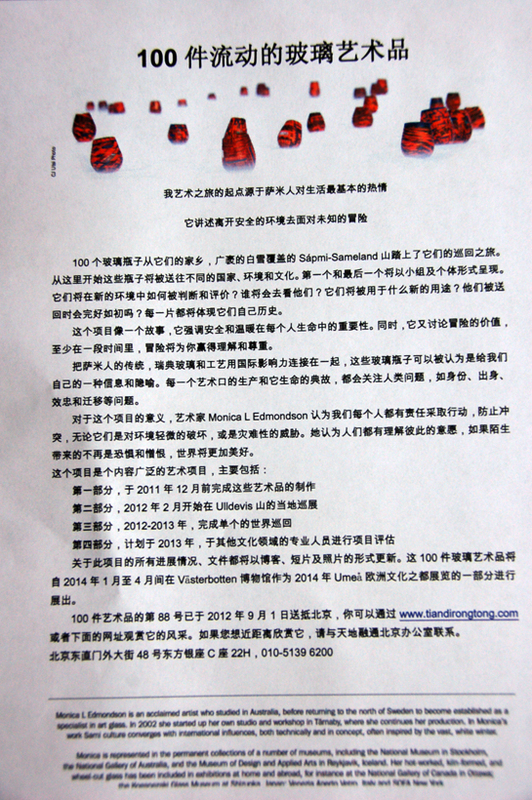 You can find the project description in Chinese here as a pdf file.